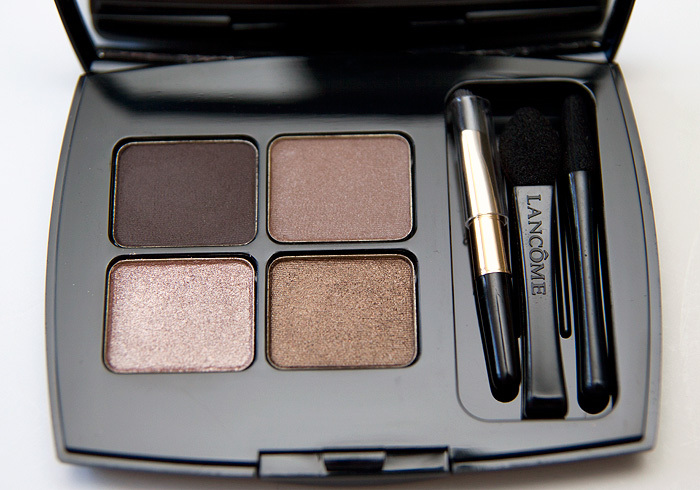 The second piece from this year’s Lancome Fall collection that I wanted to show you was the new eyeshadow palette, Les Oeillades in Blondette Fatale, featuring an array of wearable neutrals and multi-tasking eyeliner/brow shades. 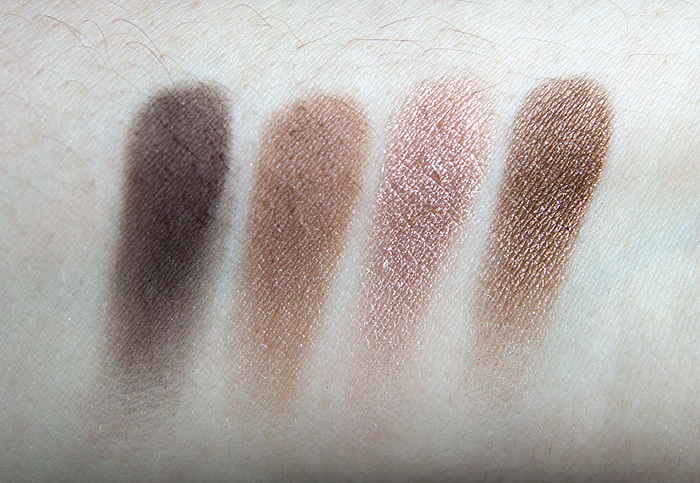 This beautifully designed brown and taupe palette can be used to create a beautiful smoky eye effect. It can also be used for subtle shading and for softer, more natural definition, you can use the metallic shades to illuminate the lids and the matte shades to define and sculpt the eye area. Shown top left, is the dark liner/brow shade which is an ash-toned dark brown matte with a firm texture. Next along is a mid-toned brown matte shade which leans slightly warm and can also be used for filling in fair brows. The two bottom spaces are taken up by a pair of metallic shadows, one cool and one warm. The bottom left works beautifully toward the inner corner to inject a hint of light without being ‘highlighter-y’. The bronzier shade (bottom right) is nice to wear dabbed over the base in the centre of the lid. The eye shadow can also be used wet with a small brush on the eye area if you wish a more intense result or dry with small soft brushes to shade and sculpt, always remembering that darkness makes areas recede and lighter shades bring features ‘forward’. The pigmentation on these is nicely build-able, with the mattes requiring a couple of swipes to achieve the payoff shown above. The metallics are, as usual, the most strongly pigmented in the palette. The colour-combination and texture shows this palette to be a more grown-up version of a neutral work palette. The build-ability ensures that Les Oeillades in Blondette Fatale can be put to use in both day and night-time situations depending on the intensity required. I tend to wear these higher-end shadows without primer and these held up very well indeed. I’m sure using the mattes as a base increases the longevity of the shimmers successfully. I also want to mention the little ‘tools’ included with the palette which I would usually either ignore (at best) or ridicule. The ones included with this palette are actually brilliant for travel. A completely useable angled brush for brows, the usual application sponge (ignore that one) and a pointy, thin sponge that works brilliantly to line the eyes. Colour me impressed. 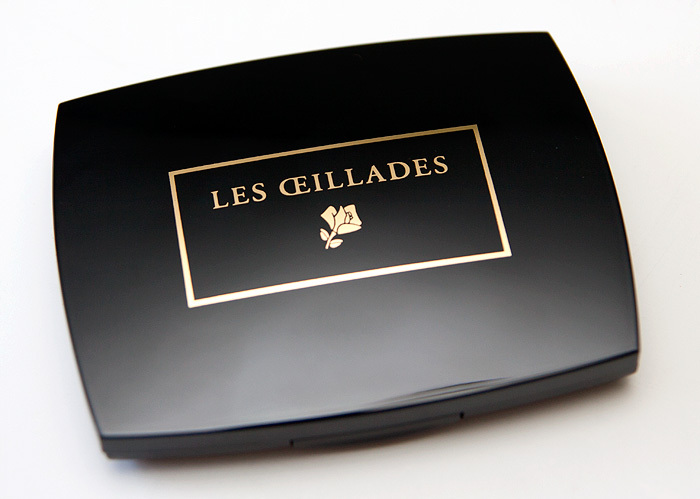 Overall, I would describe Les Oeillades in Blondette Fatale as an incredibly versatile palette. It may well be that you, like me, already have 101 neutrals in your collection in which case, I’d say this is great for travel thanks to the inclusion of genuinely useful brow/liners shades and tools but is otherwise a non-essential. I love these colours but I already have similar in my Naked palette, but i guess this palette is more suitable for carrying around in your handbag! Those colors are gorgeous I’m all about the neutrals and if I didn’t already have a huge eyeshadow neutral palette, this would definitely be on my list! I wish we had gotten the quad in the US! They’ve repromoted the 5 pans in Gris Fatale and Golden Frenzy. That rose gold color is so pretty. colors look so pretty but i have soooo many neutrals already! looks like possible dupes from the urban decay naked palette too! Lancome products are so expensive but I do ♥ their packaging..so unique..